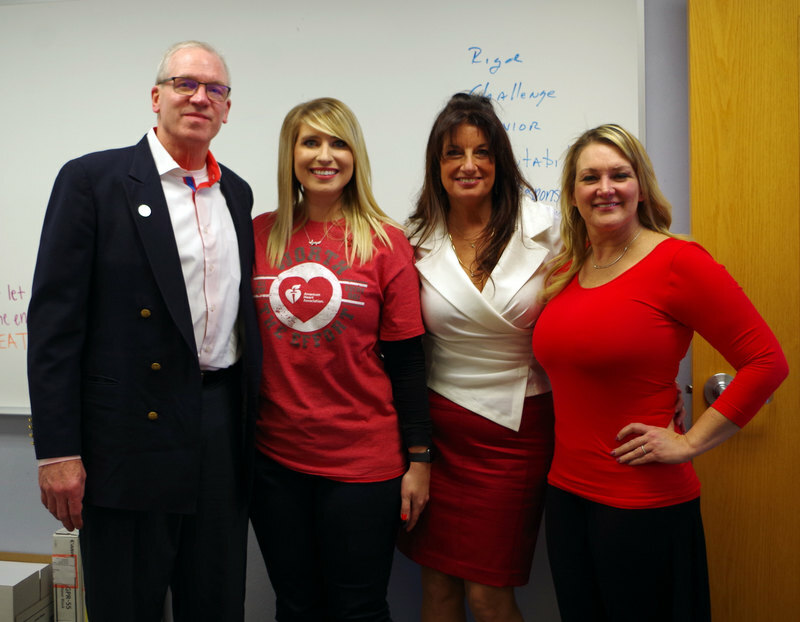 February 1, 2019 was the kick-off for Go Red for Women during the month of February to raise heart health awareness. 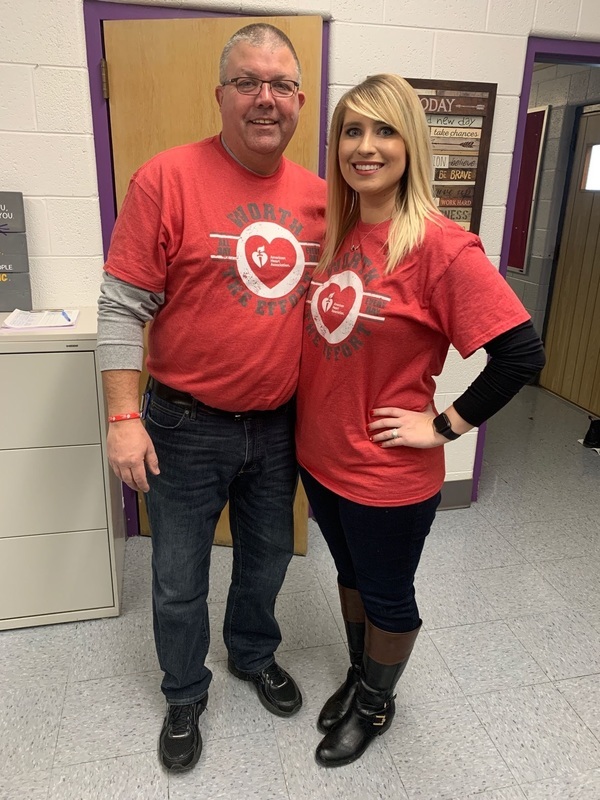 Our curriculum coordinator Heather Baker planned a heart themed day as February 1, 2018 was a significant day as Mrs. Baker experienced cardiac arrest. Within minutes of the event, administrators and staff acted quickly to perform CPR and administer the AED to help save Mrs. Baker’s life. We are so grateful that Mrs. Baker was able to receive the medical attention she needed. 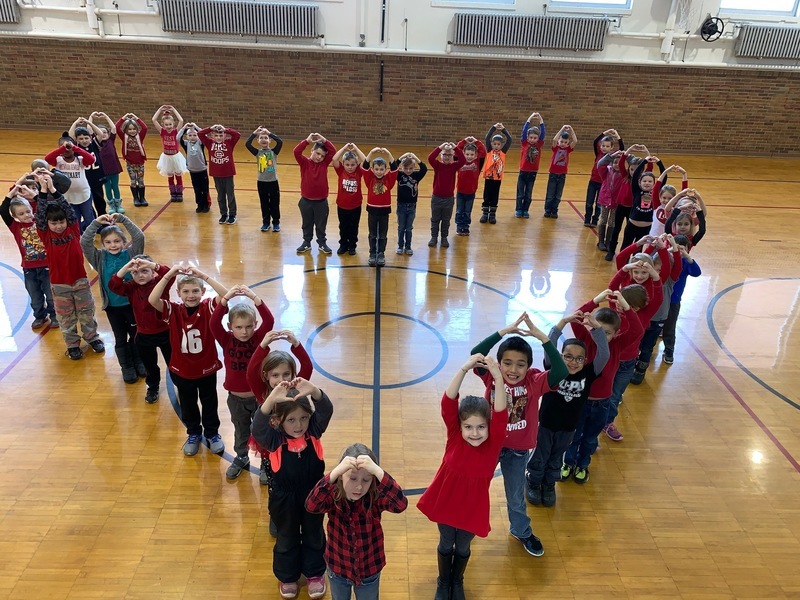 Many staff and students participated at all three buildings by wearing Red: The elementary school also watched heart healthy educational videos. 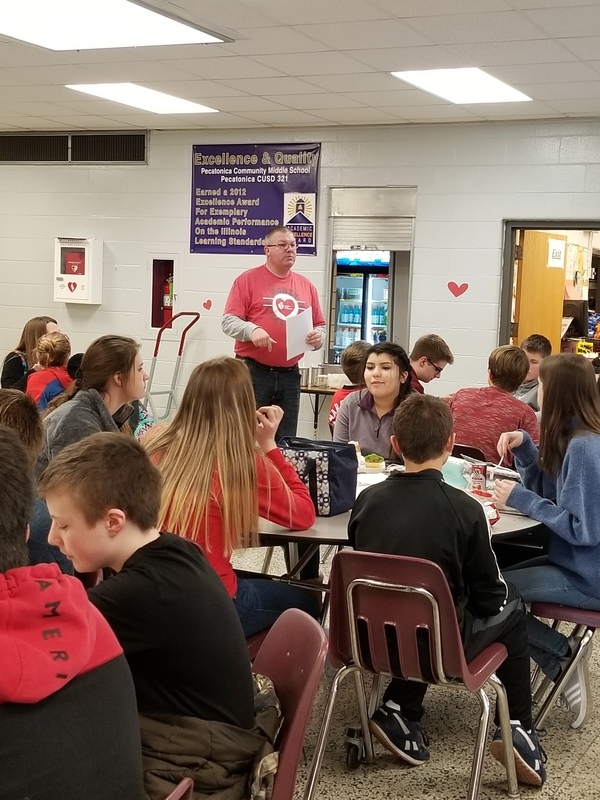 The middle school principal, Mr. King, showed students the AED located in the cafeteria during lunches, hosted a special guest, Nancy Dagefoerder, APN, of OSF HealthCare Cardiovascular institute and played heart-themed games. 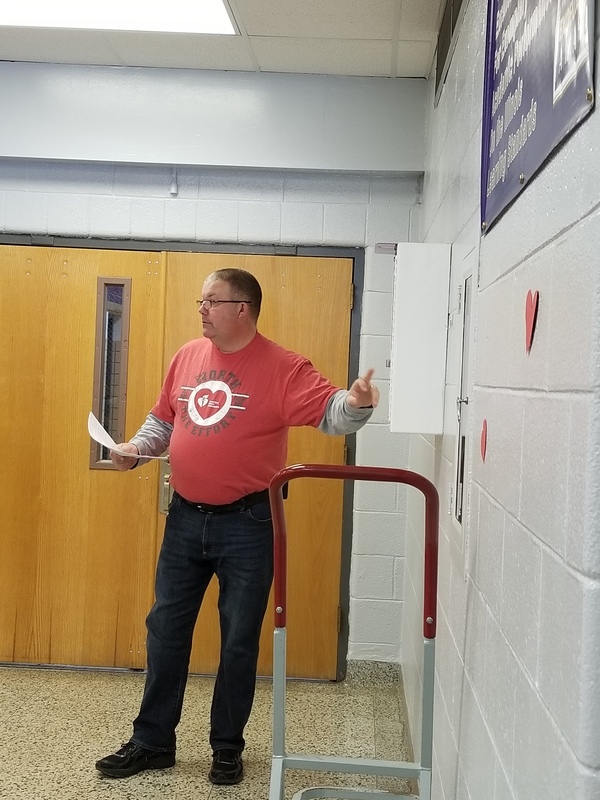 The high school students held a bake sale and learned hands-only CPR during lunches. Special guests George and Mary Laman, Shondra McLarty from the American Heart Association and Andrea McGrew, #321’s nurse, spoke to high school students during an all school assembly. Hearty the heart mascot was there to join in the fun and heart health themed games. These simple actions can save a life...Call 911, tell someone to “Get the AED” and perform CPR.